Monday to Wednesday, Friday 9 a.m. to 5 p.m., Thursday 9 a.m. to 7 p.m. The exhibition traces history from the First Republic and the years preceding the "Anschluss" all the way to the present. 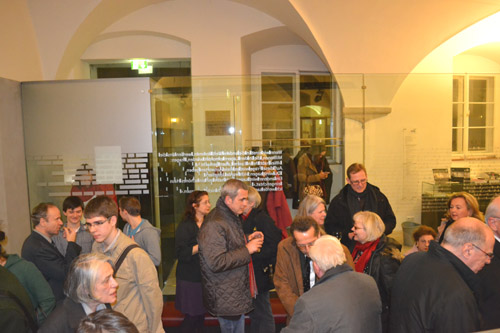 The exhibition texts reflect, on one hand, significant focal points of research by the DOEW-staff. On the other hand, they provide an overview of the state of research in contemporary history on NS-crimes, persecution, and resistance on Austrian territory from 1938 to 1945. 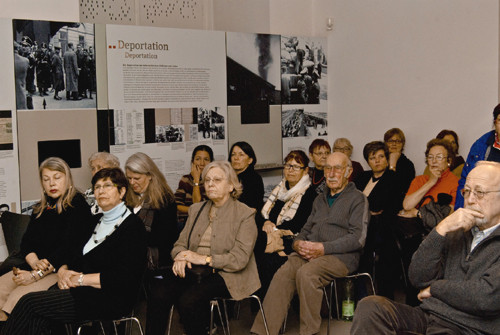 Austrian NS-perpetrators and the participation among the population are mentioned as are the Austrian Republic's frequently dubious handling of the processing of the NS-past after 1945 regarding denazification and legal prosecution of NS-crimes as well as restitution and compensation for NS-victims. 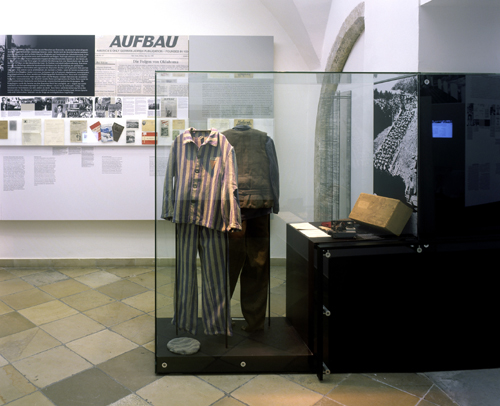 A separate section deals with extreme right-wing and neo-Nazi currents in Austria since the war. The exhibition is of special value to teachers, as it provides vivid supplementary material for the study of modern Austrian history. DÖW's new designed permanent exhibition was funded by the City of Vienna as a lasting contribution to the 2005 memorial year and was opened on 8 November 2005. It is located in rooms on the ground floor of Vienna’s Old Town Hall (Altes Rathaus), a structure largely from the Middle-Ages. The entire exhibition is handicapped accessible as well.